Over 100 Miles Of Shoreline To Fish! is located on beautiful Horwood Lake, a spectacular 14,000 acre body of water, often described as the prettiest lake in Northern Ontario. The lake is both spring and river fed and you will be overwhelmed by its picturesque shores with steep granite cliffs, its gently sloping wooded shorelines and its magnificent sandy beaches. 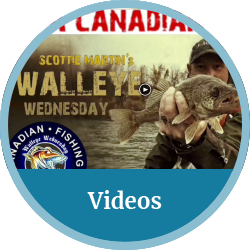 The lake offers a variety of depths, structures, irregular shorelines and islands with numerous secret fishing holes awaiting your discovery. 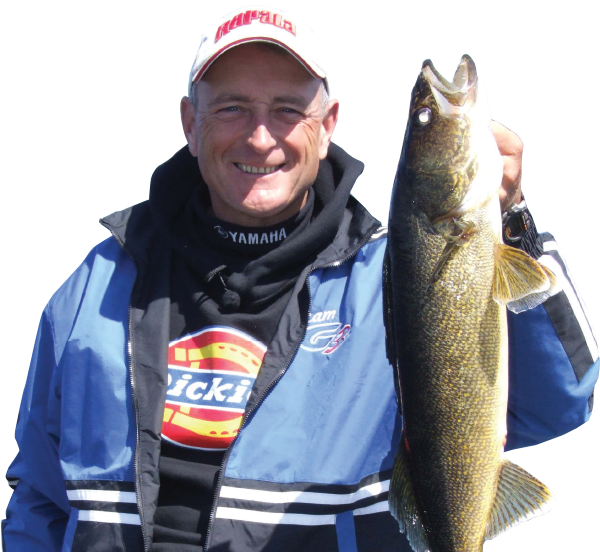 Horwood Lake has long been known for its trophy fishing. Year after year guests return for the abundance of fish in this amazing lake. 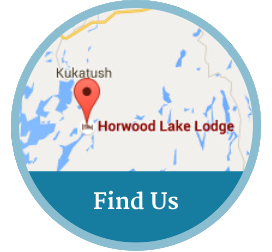 Horwood Lake Lodge has been a Northeastern Ontario tradition for over 60 years. Established in 1953, the Lodge sits on a peninsula that extends out into Hardiman Bay, on the eastern arm of beautiful Horwood Lake. 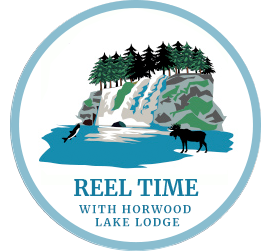 It’s your time… Reconnect at Horwood Lake Lodge with activities for whole family and build memories that will last a lifetime. 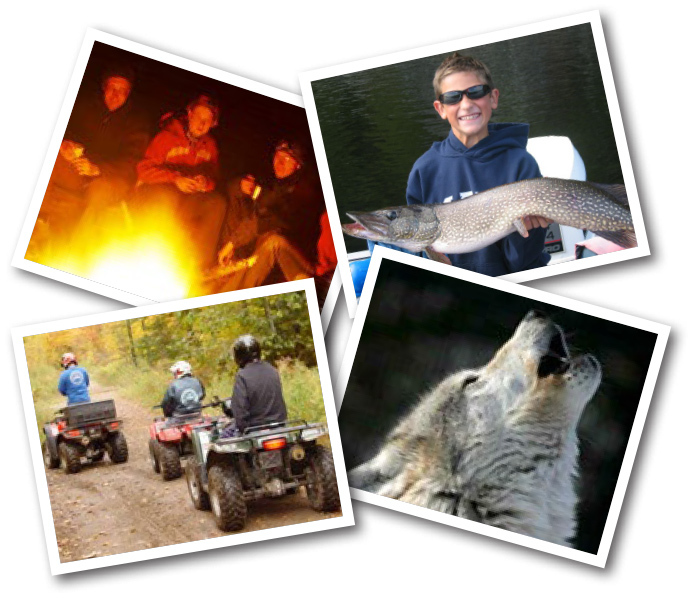 Snowmobiling, ice fishing, ATV’ing, snowshoeing and more. Get out there and enjoy the rugged beauty of the Canadian North in all four seasons at Horwood Lake Lodge. Our winterized cabins will provide a warm and comfortable retreat at the end of a day of winter adventure. 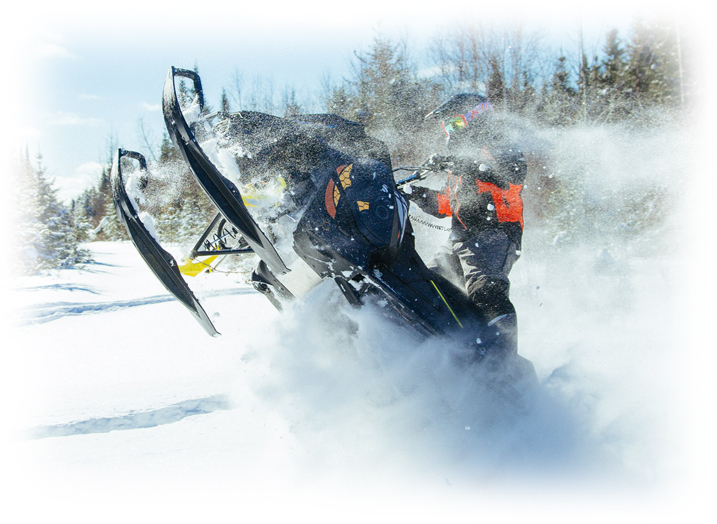 Click on the link below to learn more about our back country snowmobiling, bushwacking and boondocking. 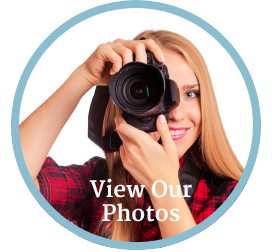 Reward your staff for all their hard work and help build teamwork and camaraderie.